As CBS News correspondent David Martin reported, Manning had chosen to have his fate decided by a judge, Army Col. Denise Lind, rather than a military jury. Col. Lind gave no explanation for her verdict or why she was not convinced by the government's contention that manning knew the material he provided to WikiLeaks would make its way to the enemy. Following Tuesday's espionage conviction WikiLeaks's founder, Julian Assange, said the conviction against a whistleblower was "dangerous precedent." 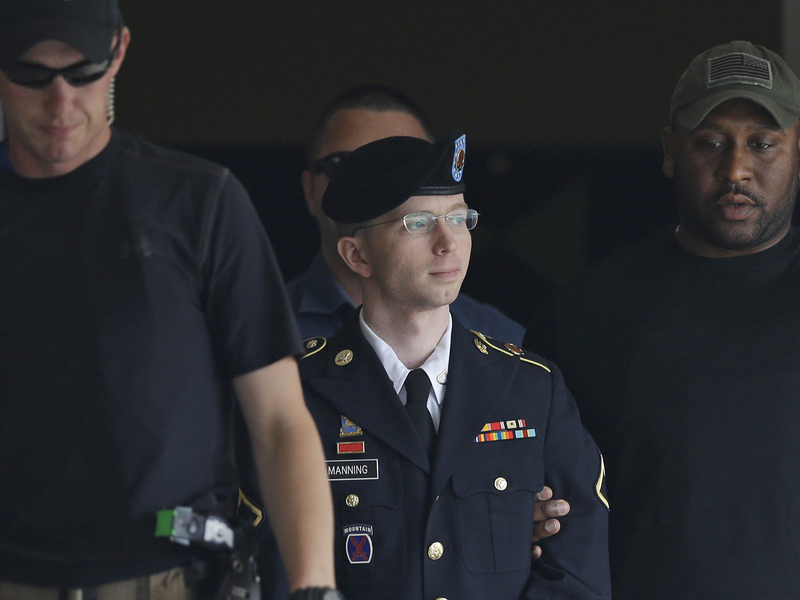 "Bradley Manning's alleged disclosures have exposed war crimes, sparked revolutions, and induced democratic reform," said Assange in a statement. "He is the quintessential whistleblower. "This is the first ever espionage conviction against a whistleblower. It is a dangerous precedent and an example of national security extremism. It is a short sighted judgment that can not be tolerated and must be reversed. It can never be that conveying true information to the public is 'espionage.'"